Innovative Endoscopy Solutions, Inc. is focused on providing quality, fair-priced alternatives to expensive manufacturer’s repair costs. 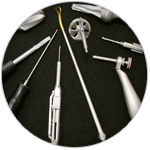 Our company’s capabilities include the repair of flexible scopes, rigid scopes, surgical cameras, power equipment, light sources, processors, TEE probes, ultrasound probes and hand-held surgical instrumentation. Specialties include but are not limited to: Camera Heads, Endocoupler & Camera Control Units. Common repairs performed include: Cable Assembly Replacements, Prism / CCD Rebuilds, Video Boards Repaired to Component Level, Endocoupler Rebuilds & Camera Control Unit Repairs. IES, Inc provides free Estimates, loaner devices and fast 1-3 Day average turnaround times, handling major manufacturers such as Stryker, Olympus, Smith & Nephew, Dyonics, Storz & Linvatec. 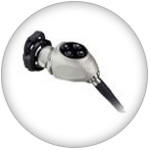 We also specialize in surgical camera repair. 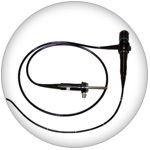 IES, Inc. specializes in the repair of fiber, video and ultrasound scopes. Repair capabilities for Olympus scope repair, Pentax, Fujinon, Karl Storz and other major manufacturers. We are capable of fully repairing sigmoidoscopes, gastroscopes, ureteroscopes, rhinolaryngoscopes, bronchoscopes, duodenoscopes & colonoscopes. We also specialize in flexible scope repair. 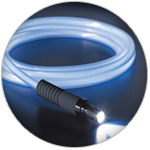 IES, Inc is an approved dealer with a premier manufacturer of aftermarket rigid endoscopic light cords designed with only medical grade silicone and stainless steel and can be autoclaved. Every light cord is high temperature xenon compatible, rated to the highest level of thermal resistance and tested to ensure the highest light output possible. Offering more than 19,000 combinations of light cord styles, lengths, reinforcement, and end tips. 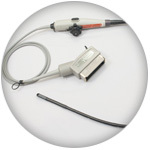 Additionally, we also can provide new and repaired light cords for surgical headlights and microscopes. Every new light cord ships with a one year warranty. All surgical power equipment repair services are performed by a team of engineers and technicians whose expertise’s range from designing to manufacturing. Services include comprehensive repair on most makes & models, 24-Hour turnaround time available, extensive loaner program, in-service and maintenance training, assistance in purchasing refurbished equipment and repair/exchange program. All major brands serviced: STRYKER, 3M, Aesculap, Anspach, Ace, Aro, Brasseler, Codman, Depuy, Hall, MiroAire, MoroTek, Midas Rx, Osteomed, Triton, Sarns, Synthes and Zimmer. From basic repairs to complete shaft & fiber replacement IES, Inc has you covered. 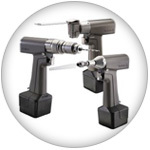 All major makes and models serviced including small diameter, offset scopes, robotic scopes, laparoscopes, arthroscopes, cystoscopes, ureteroscopes, needlescopes and other specialty scopes. IES, Inc. offers quick repair times, flat rate options on major manufacturers such as Olympus, Storz, Wolf, Stryker, ACMI Circon, Linvatec and Intuitive Surgical. Contact us to help you repair your Rigid Scope. IES, Inc surgical instrumentation repairs are performed by trained professionals with the industry’s best techniques ensuring consistent quality. Repair services include: Inspection, repair, sharpening, cleaning and lubrication of all general surgical instruments, sterilization tray and lid repairs, complete set refurbishment, Electrosurgical instrument repair and re-insulation and courtesy Insulation testing of your endoscopic instruments. We handle common repairs such as bending neck rubber replacement, articulation repairs including knob refurbishment and cable replacement, calibration repair, Insertion tube replacement, cosmetic restoration, fluid invasion, cable replacement and noise elimination. 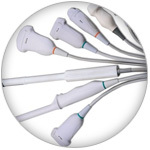 IES, Inc. ultrasound probe repair is a great way to return your device to like-new condition and provides a tremendous savings compared to OEM repair costs. 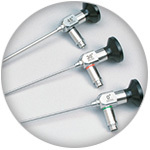 No-cost estimates, extensive loaner pool and repair on almost all models of standard, 3D/4D, and TEE probes. Once repaired, your probes go through an extensive QA testing process to ensure that it’s in perfect working condition. Repairs available on major manufacturers such as Acuson, Aloka, ATL, B&K, Biosound Esaote, GE, Hitachi, HP, Medison, Philips, Siemens, SonoScape, SonoSite & Toshiba.